After a long long summer vacation students are now ready and so much exited to attend the first day of school. Most of the schools are going to start within a week. 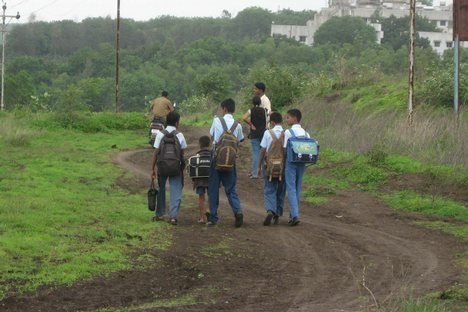 Every student is very excited about his new schoolbag, new uniform, and also about new books and notebooks. After 2-3 days student would be attend their first day in new class, on new desk and with new roll number. As we know the joy and excitement of all these things is something different .Everyone at his school life used to enjoy and still students are enjoying their first day of school. After the long vacation the joy of shopping for all school materials and that awesome smell of those things is unforgettable. Many of the students might have bought new rain coats and umbrellas to tease the rain. So let the students enjoy their school days and let them make these days beautiful and memorable because these days are never going to come again after school life. Previous Previous post: BCA,BBA,BBM(I.B.) Entrance Exam today (12th June).